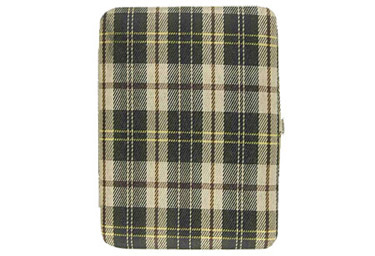 A classy tartan fabric-clad framed wallet perfect for carrying all your must-haves. The metal closure and piano hinge opens the wallet to reveal a metallic interior with a zip pockets, credit card slots, and an ID flap with additional slots. Mint condition Forever21 deadstock, rare and hard to find.